USE YOUR 10% DISCOUNT CODE FOR AN EVEN LOWER PRICE THAN ABOVE! PLEASE NOTE THIS IS THE NEW 4G LTE UNIT- NOT 2G OR 3G! DON'T BUY LEFT-OVER'S FROM OTHER VENDORS THAT MAY BECOME INOPERABLE SOON – THAT’S WHY SOME OTHER DEALERS ARE SELLING UNITS AT 50% OR 75% OFF! 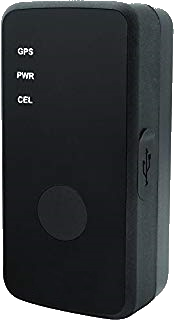 The Micro GPS Tracker is a fully self-contained GPS tracker with an ultra-sensitive internal antenna and features a 3D Motion Sensor that extends battery life up to 2 weeks of continuous tracking with a single charge. The optional extended battery allows extends battery life up to 6 weeks. The devices ‘sleeps’ when not in motion to save battery life and ‘wakes’ upon movement to start updating you with every event. Real-time updates can be adjusted from seconds, minutes, even hours. Receive ALERTS to your phone or email for Motion Start/Stop, Perimeter Enter/Exit, Power Up/Down, SOS/Panic and more. View a single device or ALL your devices from Computer, pad/tablet or smartphone. Create Geofences (Perimeters) and know when your target leaves or enters an area. 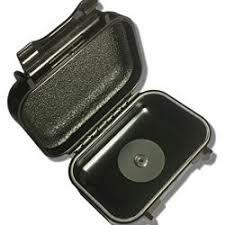 For quick deployment choose from the water-resistant Small Magnetic Case or water-proof Magnetic Cases. Super strong magnets allow for solid hold and easy deployment. 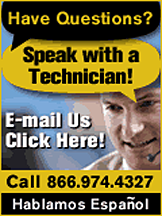 from our U.S. based support team of professional investigators! Operates on the 4G LTE ultra-reliable LTE network - Same network as your smart phone! No more loosing signal when switching carriers towers! This is a fully self-contained water-resistant GPS tracker offering continuous tracking for covert deployment or personal tracking. You ll have full control over the tracker through our state of the art, user-friendly web portal. YOU can control and change your ping rates on the go ! Of course, at PI GEAR you can call us ANYTIME for help and all our tracker sales come with personalized training at no cost if needed! Our GPS support team are professional investigators and have the knowledge and background to assist you. All "live tracker" GPS units require activation of $9.95 and monthly service (see Monthly Access Plans tab). Our service DOES NOT require any contract and is on a month-to-month service for your ease of use. * 2 month battery life is based on 15 to 30 minute ping with consideration given to movement of vehicle, terrain ,urban / rural settings. Coverage and battery life may be effected by cell carrier(s) tower placement, number of towers and other carrier related settings not controlled by PIGEAR. Individual battery life WILL vary dependent upon above and other factors. Access real-time GPS tracking 24 hours a day, 7 days a week. 100% web based (desktop or mobile). No software required. 10 second to 12 hour updating - YOU CONTROL! Trackers are updated every 10 to 60 seconds while the vehicle is moving, providing turn-by-turn data accuracy. Receive text and email updates about unsafe driver behavior and after-hours or out-of-area usage. No lock-in contracts or cancellation fees. Deactivate and Reactivate when you want! Extra Large 2600 mAh internal battery on GPS unit. Built in GNSS receiver supports GPS and GLONASS standards. Quad band, GPRS/GSM subsystem supporting 850/900/1800 and 1900 MHz freqs. 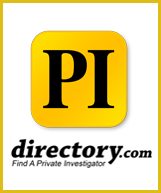 PI GEAR offers the best and most user-friendly access portal on the market for both the professional and civilian user. A friendly explanation of the plans available is listed below. When your tracker arrives, activation instructions will be included and you will be able to select the plan you want during the activation process. We offer three access plans to meet every user’s needs and budget. Each of the monthly Plans are shown with the minimum Motion Interval (reporting time or “ping”). Motion Interval is the frequency the device updates location when in motion. Reporting times are user adjustable from the minimal time selected (your plan) all the way to 12 hours. All Plans allow the customer to adjust their Motion Intervals up or down as needed in order to see more or less data and to preserve battery life. A lesser reporting time uses less battery. Our billing cycle is based on a no-contract, month-to-month billing cycle. Don’t be fooled into a “lower monthly fee” by others only to learn you must pay for six months or a year in advance or enter into a long-term commitment for service. You can suspend your plan at any time within your billing cycle, and not be billed any additional fees. When you want to reactivate your unit, you will only be billed the $9.95 re-activation fee and the plan you then select! With each purchase, and included in all plans, a technician from PI GEAR will assist you in the set-up and use of your tracker. We will provide you with the best in-house (not off-shore) training available! Our technicians are available at all times and are licensed private investigators with over 30 years’ experience to help you set up, maintain AND interpret what you’re seeing if needed!